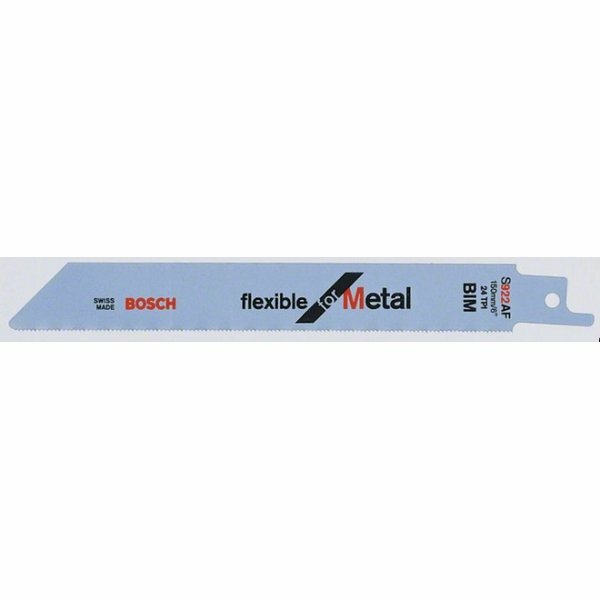 Bosch S922AF Reciprocating Saw Blades. Bi-metal, wavy set, milled. Thin sheet materials (0.7-3mm), fine pipes/profiles, effortless fine cut.